Trust administration is an alternative to the probate process that can take place after a person has passed away and that can facilitate the transfer of assets to new owners according to the instructions provided in a trust document. While the trust administration process can be faster and less costly than probate, among other advantages, the process is still complicated in many situations. Both trust administrators and heirs or beneficiaries who could inherit property from a trust must understand what their rights are and what their obligations are during the trust administration process. Mark S. Eghrari & Associates PLLC can provide the comprehensive help that you need to ensure that the trust administration process goes as smoothly as possible. Our legal team provides personalized advice and you can give us a call as soon as a trust creator passes away so we can help you to facilitate a quick, stress-free trust administration process. You can also review the frequently asked questions below in order to find out more about how the trust administration process works- but remember, there is no substitute for getting personalized legal advice. Trusts provide many significant advantages, both to the creator of the trust as well as to designated beneficiaries who a trust was created in order to provide for. Trusts can help to protect assets in case of incapacity, for example.One of the biggest benefits to the creation of a trust, however, is the fact that the trust can allow assets to transfer outside of the probate process. Normally the probate process would have to occur after a death and would have to conclude before property is transferred to new owners. This probate process could take many months, leaving heirs without assets they may be counting on. The trust administration process is a much faster, less costly and more streamlined method of transferring property to new owners. When assets are able to pass through trust administration, the probate court does not have to become involved unless there is some type of problem, and the transfer of assets can be both more private and much faster. After you pass away, someone must administer the living trust. You will choose the person who will administer the living trust, so you can pick any adult who you are confident will be able to effectively manage trust assets and facilitate the transfer of those trust assets to new owners.You make your choice of who should administer your living trust when you create your trust, which involves working with an experienced attorney to write a trust declaration or trust document. Within the trust declaration, you specify a successor trustee. This successor trustee is the person who takes over the management of the trust after you pass away. The successor trustee administers the living trust. When you create a living trust, you can name yourself as the trustee during the course of your lifetime. When you act as the trustee for your living trust, you are in control of the trust assets. However, you also need to name a living trust successor trustee. The successor trustee is a person who you select to take over management of trust assets when you are no longer able to do so because you have become incapacitated or passed away. The successor trustee is responsible for the trust administration process after your death, among other potential obligations. If you pass away and transfer assets through a will, there is a possibility that someone will contest your will and your wishes for the distribution of your assets will not be respected. Avoiding the possibility that a will is going to be contested is one possible reason that you may wish to create a trust. While it is possible for a trust to be contested, it is much less likely that someone will be able to successfully argue that a trust is not a true reflection of your wishes.When you create a living trust, you remain involved with that trust throughout much of the course of your life. Your continued involvement with the trust provides concrete proof that you actually meant to make the trust and that it is a true reflection of your wishes. Because of this, it is hard for someone to successfully prove that you didn’t actually mean for the instructions you provided in your trust document to be followed. You still want to ensure that your trust is a legally valid one, though, which is why it is a good idea to talk with a trust lawyer about how to follow NY rules for trust creation. If someone you love has passed away and had created a trust, you should talk with a trust administration lawyer about the process that must occur. Mark S. Eghrari & Associates PLLC provides representation to all interested parties during the trust administration process.Our legal team can help those who wish to create a trust to ensure that the trust document is comprehensive and is prepared in accordance with NY law. We’ll also help to ensure the right type of trust is selected so you can get the desired benefits and protections. 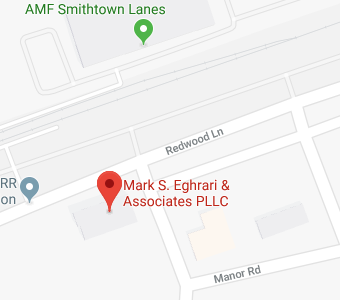 After the death of the trust creator, Mark S. Eghrari & Associates PLLC will represent the trust administrator or will represent heirs or beneficiaries who stand to inherit under the trust. We can assist you with understanding your rights and obligations, fulfilling the wishes of the deceased, and protecting the assets that are held within the trust. The trust administration process does not have to be complicated or stressful for you. You just need the right legal help to fulfill the steps of the process properly. Let our firm provide the assistance you need so the trust administration process goes smoothly. Give us a call today to find out more about how we can help.